St. Charles Lwanga parish was established in 1992 as part of the diocese&apos;s reorganization and revitalization program. This parish was formed by the merger of Holy Rosary, Mother of Good Counsel, Corpus Christi, Our Lady Help of Christians, Our Lady of the Most Blessed Sacrament, and Ss. Peter and Paul parishes. 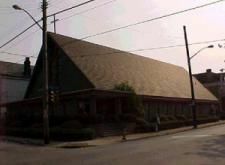 Since then we have gone on to serve the East End of Pittsburgh through various ministries. Our mission of service to the community has created opportunities to feed countless people through our food bank, educate many young people through our parish school, and become a spiritual anchor to our parishioners and beyond.